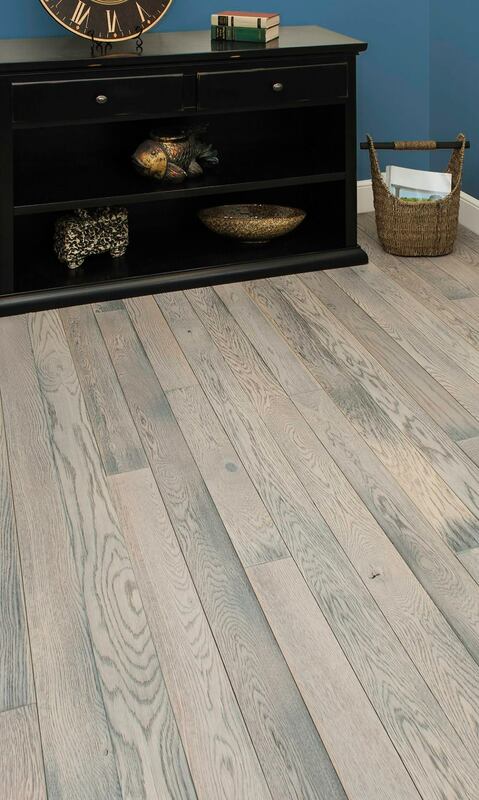 What wood or "wood look alike" flooring options do you have? It is a known fact that flooring companies have numerous flooring options available for their customers to choose from and only the truly competent companies have wood flooring showrooms for you to browse, touch and choose a product that suits you and your home. Making a definitive choice out of these options can often be difficult for these people as they are not aware how most flooring options work and what option would suit them best. With such a large range of flooring products available in the market it is obvious that people often get confused. However, do not worry, as we have your back. In this article, we will discuss the most common flooring options with detail, which will ultimately help you decide which product would best suit you. If you have a particular look you want to achieve, one that pre-finished woods struggle to achieve, then this is a great option that provides freedom and flexibility to match your floors to other areas of your home or business. Apply any finish to highlight the natural look of your unfinished wood flooring. We have an unmatched selection of unfinished woods, and Floor Crafters’ experienced product managers can guide you through the selection process, no matter the wood type or plank size you are looking for. Best part about un-finished wood floors, is our ability to custom stain them. Choose from hundereds of colors that can be mixed and matched. Floor Crafters carries an extensive array of engineered woods, which expand and contract less than solid hardwood flooring and typically offer better stability. Since engineered wood are manufactured from plywood substrates, and use a much smaller amount of solid wood, they promote environmental conservation. We provide a wide range of engineered wood options, with varying degrees of quality standards and price points. Floor Crafters carries a wide variety of luxury vinyl flooring, which include polyurethane coatings, vinyl cores, attached pad and print film layers, to name a few options. Since luxury vinyl flooring is 100 percent waterproof, while maintaining the realistic look of hardwood floors, it’s an ideal option for kitchens and baths, or other places prone to moisture. Another appealing feature is cost. Luxury vinyl options, including their installation and maintenance, considerably less expensive than hardwood flooring. Low maintenance and a wide range of shapes and sizes also appeal to many home and business owners. Laminate flooring fuses a photographic design with resin and protective finishes to provide a highly durable flooring that mirrors the natural beauty of hardwood flooring at a lower cost. These features, coupled with its easy maintenance and durability, have won laminate flooring growing praise over the years from home and business owners. Floor Crafters offers a variety of laminate flooring options that vary in textures and styles and tile forms, and can prove ideal for high-traffic areas of your home or business. Cork, an environmentally friendly material harvested from the bark of cork oak trees, offers comparable prices to hardwoods. Unlike most hardwoods, however, cork flooring boasts a soft, supple surface that not only handles wear and tear but feels soft and accommodating on your feet—which makes a good option for children’s rooms or kitchens, where homeowners spend a lot of time on their feet. Although this kind of cushion makes it more susceptible to damage, cork also acts as a great barrier against noise and effectively insulates any room. Much like wide plank flooring, oil finishes, in the form of natural oil and hard wax oils, have gained increasing popularity in recent years due to their natural, earthy look. Oil finishes are not as durable as their urethane counterparts, and they require more regular cleaning, but they offer one great advantage: easy repair. When damaged by scratches oiled floors are repaired easily by spot sanding the scratch and applying the oil again. This works on large scratches and small, and that ease has made oil finishes an increasingly popular option, not only in homes but commercial spaces, too.